A family favorite at our show is the two "kids starter layouts". 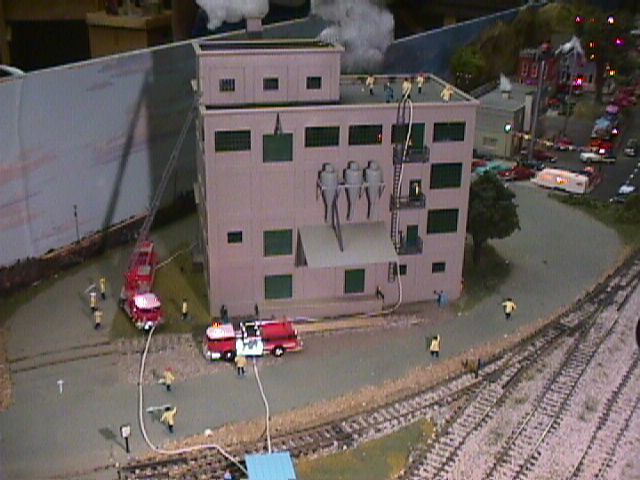 These layouts were designed and set up so children attending the show will have an opportunity to operate a train on a finished model railroad. Both the Sacramento Modular Railroaders club and the Sierra Division of the National Model Railroad Association (NMRA) provide experienced members to demonstrate to each child how to operate a train on the layout. Then, the member hands over the controls to the "student engineer!" After operating the train, the student engineer is promoted to "junior engineer" and given a "Junior Engineer" badge to wear on his or her shirt! The two layouts are set up in separate buildings on the fairgrounds (Jones Hall and Johnson Hall) and both layouts are HO Scale. Junior Engineer trains will be rolling throughout both Saturday and Sunday.